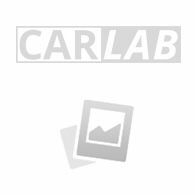 Ford Tourneo Custom/Passenger 2018- (Automatic gear) rubber car mats, ready to fit directly into your car. The car mats are specifically tailored for your car type and therefore will fit perfectly. Car mats are made of durable fabric and also have the standard mounting holes for easy fitting into your car, just like the original mats. They have a anti-slip surface so mat will not slip away.